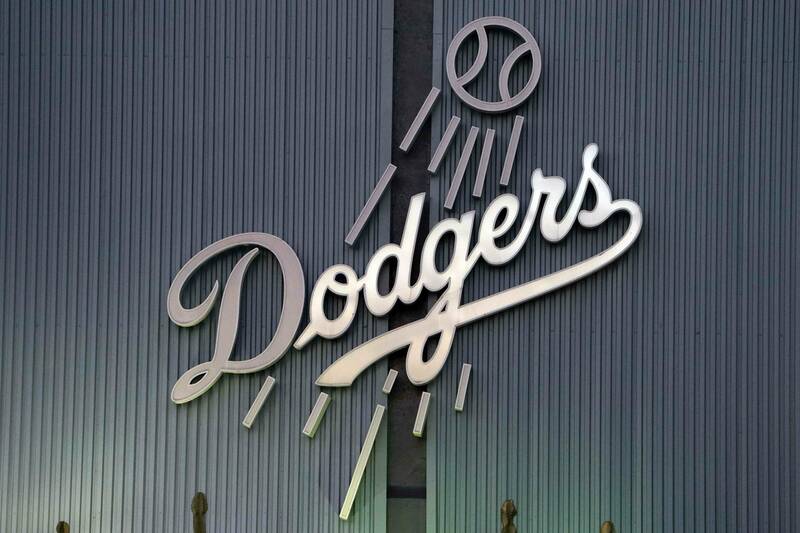 One of the biggest story-lines of the year for the Dodgers was the transition from Frank McCourt to the Guggenheim Baseball Management (GBM) ownership group of Mark Walter, Stan Kasten and Magic Johnson. The days of McCourt’s penny-pinching ended in May and GBM was willing to dip into their bank accounts to pay for talent. One of the first big moves they made was to acquire infielder Hanley Ramirez from the Miami Marlins. Ramirez is a three-time all-star and is one of the most decorated players in the league. He was the 2006 National League Rookie of the Year and won the NL batting title in 2009, securing the feat with a .342 batting average, as well as placing 2nd in the Most Valuable Player voting that season. Hanley’s performance tailed off in 2010 and reached an all-time low in 2011. Before the beginning of the 2012 season, the Marlins re-branded themselves, dropping the out-dated Florida Marlins name and renovating it to become the hip-and-trendy Miami Marlins, which was synonymous with their new ballpark. Their (the Marlins) biggest off-season acquisition was shortstop Jose Reyes, formerly of the New York Mets, whose presence forced Hanley over to third base, a move that was apparently unpopular at the time with Hanley. The Marlins were unable to ever get anything going in the season and began the process of selling off their players before the trade deadline. On July 25, the Dodgers acquired Hanley Ramirez for starting pitcher Nathan Eovaldi and minor-leaguer, Scott McGough. During his time with the team, Hanley provided stability to the middle of the lineup and was a steady presence in the infield. After having a line of .246/.322/.749 with the Marlins in the first 93 games of the season, Ramirez benefited from the change of scenery after being traded to the Dodgers, upping his line to .271/.324/.774, which still stands a ways away from his career line of .298/.371/.866. Additionally, Ramirez was more than willing to move over to third base to allow Dee Gordon to continue to play in his natural position of shortstop. However, shortly thereafter, Gordon broke his thumb and Hanley soon found himself back at shortstop. But the reason the Dodgers brought Hanley to Los Angeles was to help produce runs and he did just that. Although his batting was down, Hanley’s power numbers were among the best of his career. His 24 homers were tied for third-best in his career and his 92 RBIs were his 2nd-highest total ever, his best numbers since 2009. Ramirez brought his speed along with him too, swiping 21 total bags this season, 7 with the Dodgers. He has stolen at least 20 in every single year of his career. July 25 vs. Cardinals – Hanley made a splash in his Dodgers debut, going 2-for-4 including a game-tying RBI single in the sixth inning off of Cardinals starting pitcher Kyle Lohse. The Dodgers would end up losing the game in the 12th inning, but Ramirez made an immediate impact on the club. July 27 vs. Giants – Hanley came up even bigger than he had in St. Louis, hitting the go-ahead two-run homerun in the 10th inning off Giants reliever Sergio Romo to give the Dodgers an eventual 5-3 win. The win helped pace the Dodgers to a three-game sweep of the Giants at AT&T Park. August 5 vs. Cubs – Hanley continued to swing a clutch bat, executing his first walk-off hit as a Dodger, a single against Cubs reliever Shawn Camp to score Matt Kemp and give the Dodgers a 7-6 win. Aug. 18 vs. Braves – Hanley drilled two home runs in a 6-2 win against the Braves at Turner Field. Ramirez drove in four runs total in that game. It was Hanley’s first multi-homer game with the Dodgers, and his second of the season. Sept. 8 vs. Giants – Hanley had another go-ahead hit in the Bay Area, this time a double in the 9th inning to score Adrian Gonzalez and give the Dodgers an eventual 3-2 win. Ramirez is signed for the next two seasons. He made $15 million this season and will make $15.5 million next year. Hanley should continue to help anchor the middle of the order and is a proven run producer. The main question the Dodgers face is whether to use Ramirez at shortstop or third base. That decision will depend upon whether the Dodgers decide to go with Luis Cruz or Dee Gordon as its starter next season. Cruz can play multiple infield positions and would allow Hanley to continue playing shortstop. Gordon’s speed change the games, but he can play only shortstop, and has struggled defensively and sputtered to get on base at times. If the Dodgers go with Gordon, Hanley would shift over to third base. Hanley appears to be happy and comfortable in Los Angeles, something that was not always the case with the Marlins. Hanley will turn 29 in December. The Dodgers should expect to get more of the same run production they got from Hanley next year. PreviousReviewing 2012: Might Capuano have simply been fatigued?